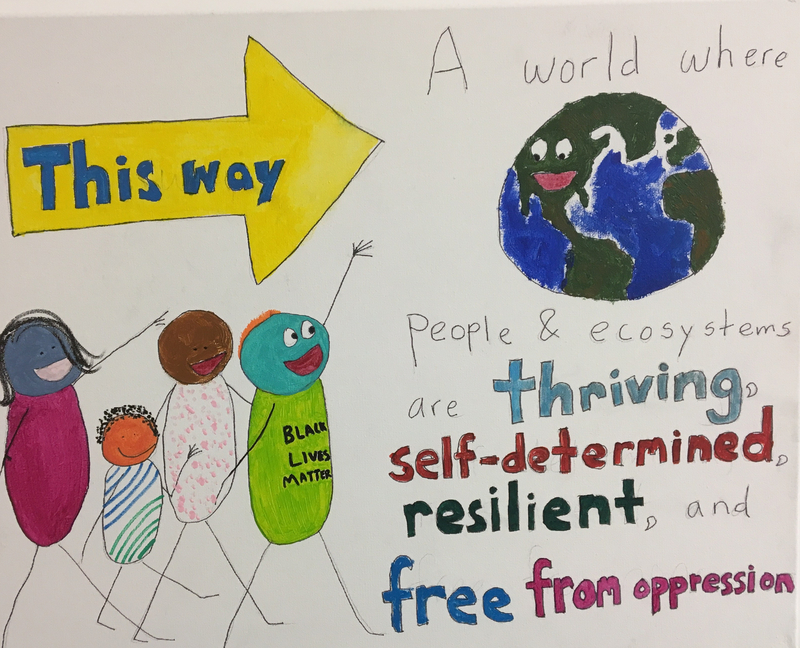 In my bubble I hear and see so many caring voices urging for systemic change: to mitigate the intensifying challenges of climate disruption, reverse biodiversity depletion, attend to the plight of human refugees and cease environmental/planetary destruction. While we speak, write and protest, the global industrial machine we have created, continues to grind away. Creating more stuff, more jobs, more trade agreements, more development, more mono-cultural farming sustained by pesticides and genetic modifications. On it goes. Are there any signs of real change in the mindset of the dominant cultural paradigm exemplified in mature capitalism of the 21st Century? Yes! 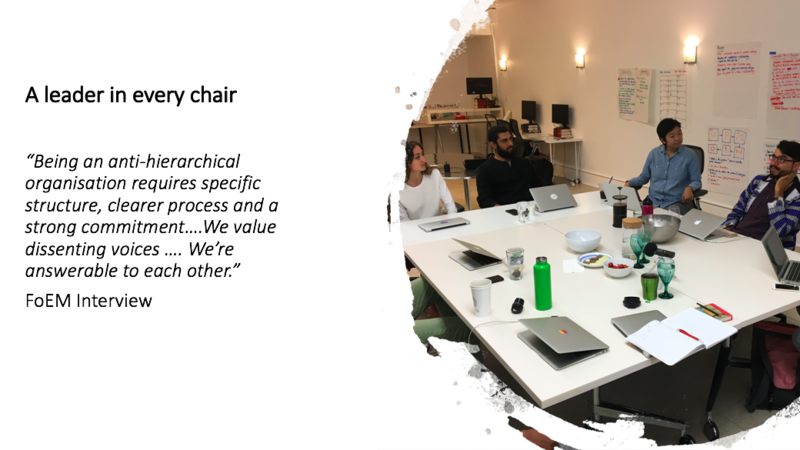 The emergence of a range of non-hierarchical practices and models of governance in small and large organisations around the planet is, I believe, a very positive sign. The time is right – there is a coalescence of diverse factors enabling this evolutionary moment. Millennial entrepreneurs are thriving as they respond to the challenge of creating democratic, purpose driven enterprises, birthed in the nutrient rich soup of a century of conceptualising new paradigms in science, politics, education, art and culture. Networked technologies proliferate. Agility, creativity and independence are facilitated, new language formed and amplified and strengthened as more people and communities use it. But what about those of us trained for success in industrial capitalism? The Interdependent Organization explores how this paradigm shift might emerge in our exisiting organisations. It is a useful contribution to the growing resource base of books and papers applying understandings from complex systems thinking in biology, physics and computer science to human organisations. Starting with the mainstream – entrenched in a hierarchical, command and control, top-down mindset – Rex Draman provides readers with a thorough background in the history of systems thinking. For those of you who work in an organisation context where you might be embarking on the journey away from hierarchy, I recommend this book as a very useful preparation and a comparative study of linear and systems thinking frames. Draman knows the mindset of large, mainstream organisations. Starting out as a second shift foreman at Mohawk Tire & Rubber and ending up as Director of Advanced Manufacturing Technology for a large defence contractor, he has used this knowledge as the foundation of a 20-year career as an academic exploring systems and sustainability in management. While Draman’s focus is US-centric, and corporate in orientation, he makes many useful observations for other organisational entities, such as government, small business and non-government organisations. This worldview is linear, based on the assumption that identifying causes (problems) will enable correct solutions, and the elimination of problems (effect). This way of viewing assumes order and predictability as the standard. Therefore, ‘failure’ is where disorder or unpredictable outcomes occur. These are met with blame and fault-finding because someone let the system fail. So how are we doing after 150 years of industrial society? Not well on the inside. One indicator of the failure of macro-economics is how we feel about our jobs. Draman quotes a 2014 Gallup poll where over 70% of employees indicated they were either ‘not engaged’ or ‘actively disengaged’ at their place of work. This is an outcome of a system where the overarching goal is profit. Why? This is a narrow and short-term goal. It rewards short-term thinking, originating in the 1970’s when the US economy was financialised. The focus in business in the US and in Australia has shifted from the product or service generated to the revenues generated from financing. The global, national and organisational consequences of financialising are explored in detail in the book. Analysing business change management texts, Draman concludes that the bulk are ‘more of the same’. New approaches require us to challenge existing practices, system goals and values. Linear thinking is very useful when operating in the context of problem solving in a simple closed system. Where we can delineate the system’s boundaries, identify and control the causes of system malfunctions. These controls enable us to predict the effect of our human interventions. Yet, the complex, curly and ‘wicked’ problems of this century have evaded this logic. Wicked problems have many variables and interdependencies between parts of the systems. Think of earth’s climate system, endemic poverty, the range of factors that contribute to human health, or the education of a child. These are all areas of our society where, despite long-term financial investment and good intentions, the ‘problems’ never seem to go away. By contrast, a systems approach looks for patterns when disturbances (problems) emerge. This requires a different way of perceiving. The intention is to see the underlying relationships that will give us insight into the behaviour of each system. Focusing on one part of a complex system will not help us to understand a whole – focusing on one parent does not reveal the dynamics of the family. Learning to recognise a system’s flow and feedback loops means understanding and valuing processes, networks and relationships. Draman identifies and explains the enemies of systems thinking in “we have to fix it quickly” , which implies doing it before you understand what ‘it’ is. “We must make the budget last until the end of the financial year” prioritises short-term, budget-driven fixes that most often inhibit long-term sustainability. And, while there is nothing wrong with information, when “we need more information” is invoked to search for the linear cause or answer, it stifles one’s creativity and the ability to see the system. “To hell with the rest of the organisation (or other organisations), we must get our needs met” reflects bunker mentality, a win–lose perspective common from politics to community sectors such as environmental education, when we don’t recognise that a healthy system is not a monoculture. To help us re-frame our businesses and communities as living systems rather than as profit machines, the second half of The Interdependent Organization is devoted to tools and techniques to assist the transition to this new mental model. The assumption is that we change behaviour by changing our focus to measures of performance, equity and happiness. The first step in the transformation to become a learning organisation: embedding the ‘action–learning’ cycle of plan–act–review and retraining in skills for ‘seeing systems’. Some of the best things are difficult to measure. This is true of experiencing strong levels of trust within an organisation or taking part in open and honest communications between people working together. Draman identifies these qualitative developments as a few of the valuable outcomes of shifting towards a systems perspective. Observations that my current research validates. Reference: Lasn, K. (2012). Meme Wars : The Creative Destruction of Neoclassical Econcomics. USA, Penguin. This review was published in Eingana, the Journal of Environment, Education Victoria, Vol 40, No1, 2017 and in Chain Reaction, the Magazine of Friends of the Earth Australia, April 2018.